Ehime prefecture is famous for the spectacular view of Shimanami Kaido and Dogo Onsen. If you're visiting, what should you buy as souvenirs? The FUN! JAPAN team members recommend these 5 delicious treats they've tried personally! There are many brands for these roll cakes called 'Kuri Tart' in Ehime. Let's find out about the Hatada brand which was awarded the Grand Gold Quality Award from World Food Contests for 13 years in a row. 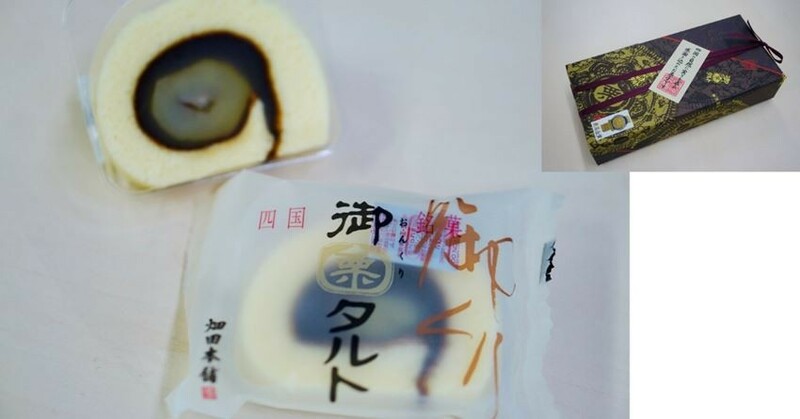 Their Onkuri Taruto is 1,404 yen each, and a pack with 5 individually packed slices is 1,028yen, a pack with 10 individually packed slices inside is 2,006 yen while the pack with 15 individually packed slices inside is 2,983 yen. Not just that, you can also experience the 'taruto' rolling activity here! Learn more about the experience in this article. Dorayaki with Salted Buttercream Filling?! 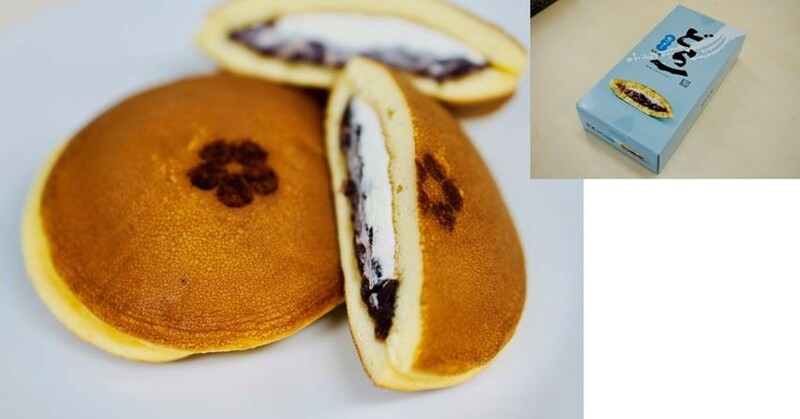 At the same Hatada shop, you can find these dorayaki with salted butter cream filling, another new staple Ehime souvenir. In between the dorayaki, a standard wagashi (Japanese dessert), is the surprisingly buttercream! And hidden in the taste of the buttercream is the Hakata salt, which is the aftertaste. One piece of dorayaki is 146 yen (tax included). 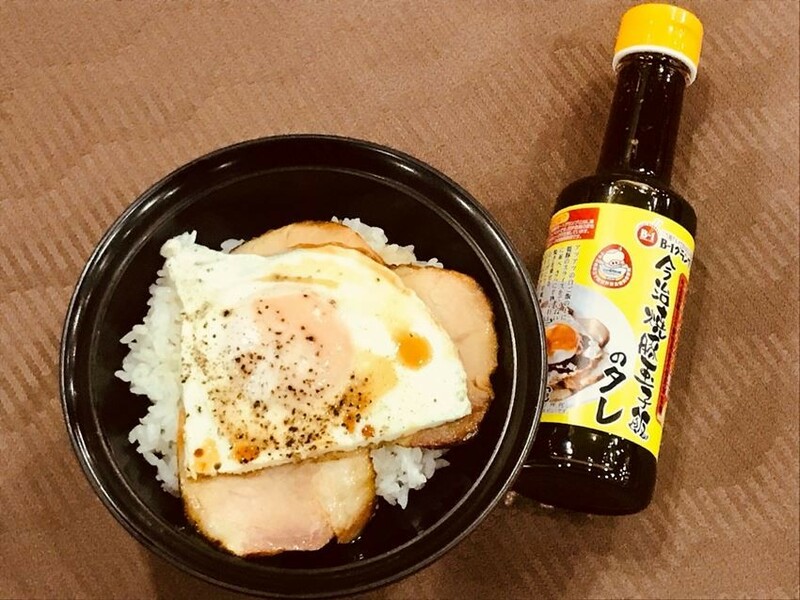 Imabari Pork and Egg Rice Bowl, a local Imabari cuisine, is ranked as number one in the 2017 West Japan B-1 Grand Prix. It is a simple dish where seared pork and fried egg on rice is covered in a secret sauce. But this sauce is delicious! There is sweetness and richness which will suit not only pork but also chicken and fish, so there is no doubt that you can also add it to your local dishes. In the picture is Tare-ya of Imabari Sanzo-san's special sauce (recognized by the local Yakibuta Tamago Meshi Popularization Comittee/ 200 ml) which is about 500 yen. It is not an exaggeration to say that Imabari is responsible for the development of the towel industry. 'Made In Imabari' high-quality towel is well established both in Japan and abroad, especially due to their softness and high water absorption. These towels are sold in the souvenir shop, but it is also good to visit the towel art museum where there are many types of towels and a gallery as well. Speaking of a staple item in Ehime, it is without fail the mikan (mandarin oranges). However, in Ehime Prefecture, not only they are able to boast a high production volume, new varieties are introduced one after the other, and are improved in various ways such as sweetness, sourness, a combination thereof, texture and more. We would love to return to Ehime prefecture to learn of their new improvements, but it is difficult to cross the country border regularly. That's why we are glad to find this, the mikan jelly known as 'Chuu Chuu Jelly' by Tanabe Sekia. 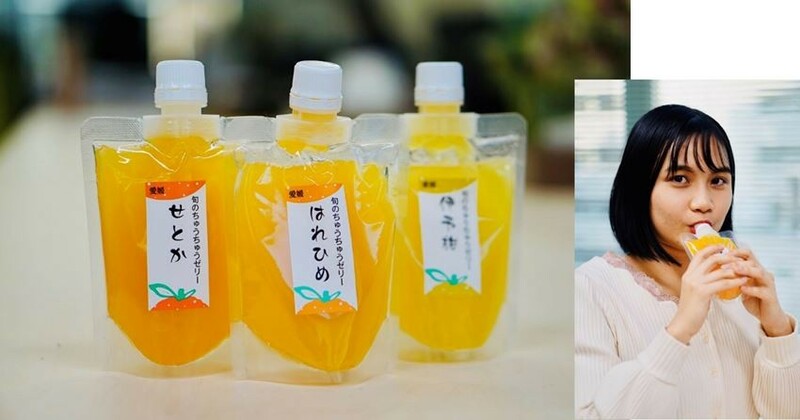 They are made with ripe fruit juice so you can enjoy the taste of freshly picked mikan.